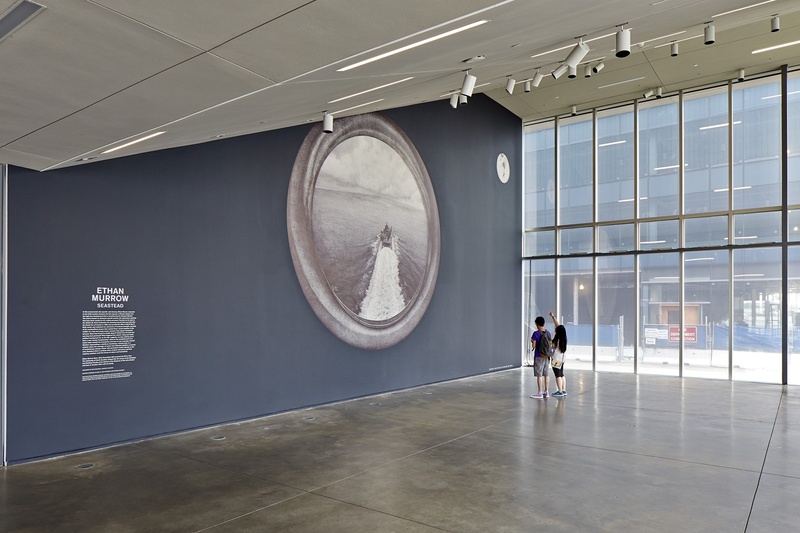 Ethan Murrow's installation "Seastead" rests in the Sandra and Gerald Fineberg Art Wall of the front lobby of the Institute of Contemporary Art. 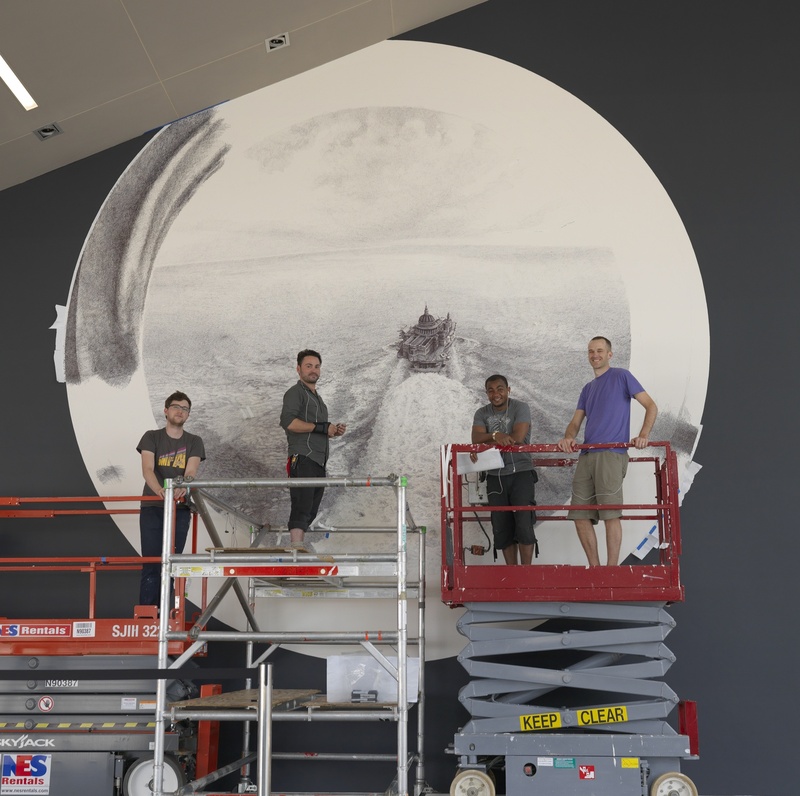 Located in the front lobby of the Institute of Contemporary Art, the Sandra and Gerald Fineberg Art Wall has been transformed in the past by artists such as Dave Muller, Francesca DiMattio, and Matthew Ritchie. When Ethan Murrow, an artist known for his photorealistic graphite drawings, was selected to become the next artist to enrich this space, it marked the beginning of a nine-month back-and-forth between Murrow and the Institute’s assistant curator, Ruth Erickson. Murrow and Erikson harkened back to this exchange on the evening of Sept. 17, when the ICA hosted a public talk between the two. After the pair touched upon the logistics of planning out such a project, the night opened up to an exploration of Murrow’s inspirations and ruminations on the nature of visual art. According to Murrow, one of the first things he and Erikson discussed was the nature of the space he would be working in. The Gerald and Sandra Fineberg Art Wall occupies an offshoot of the front lobby that is disconnected from the natural flow of the museum. “It’s a funny space,” Murrow says. “It’s both really prominent, and it’s also an afterthought all at once.” Murrow said that he sought to develop a composition that would add depth to the space and draw visitors in. He and Erikson also wanted the visitors to experience an image that was thematically site-specific. Inspired by the ICA’s waterfront location, he approached concepts such as environmental changes within the harbor, flooding, and the history of Boston itself. In particular, he placed an emphasis on the fragility of the surrounding neighborhood through his seascape. Artist Ethan Murrow and his crew as they prepare "Seastead" for the Institute of Contemporary Art. He maintains that even an artist’s understanding of his own work can change over time. He is deeply suspicious of applying any finite meaning to an image, and this perhaps harkens back to one of his greatest inspirations: historical images. 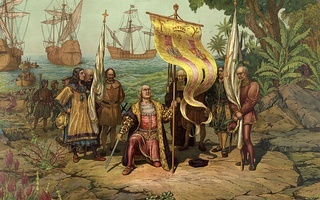 “I think that we spend so much time looking at history through singular images,” Murrow said. “We use singular images to try and stand for an entire moment, an entire era even sometimes. And I think that’s both sensible, because we have to try and come to some sort of conclusion about what happened—but I also think that’s really problematic, because then there is so much that’s left out.” This concept is one that Murrow returned to again and again throughout the night; for him, the way individuals experience images is as nuanced as it is mutable. The CRIMSON wishes to apologize for quoting Erik H. Erikson, professor of Human Development, out of context in James K.
The dearth of gallery space has ranked among the major complaints about Harvard’s arts scene for student artists and Visual and Environmental Studies concentrators, who are seeking alternate spaces on campus to showcase their art.